It is well-known that the European Union (EU) wants to become a competitive, low-carbon, and energy efficient economy. According to the 2030 Energy Strategy, energy targets for 2030 include a cut in greenhouse gas emissions by 40% (from 1990 levels), energy saving of at least 27%, and energy efficiency improvement by 30% compared with a business-as-usual scenario. 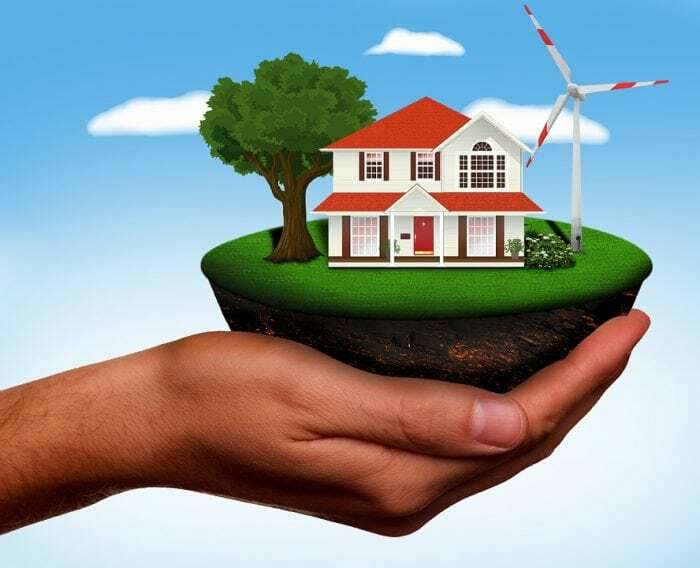 In addition to transportation and industry, the household sector is one of the three main energy end users, with the share of about 25% of the total final energy consumption. Hence, it plays an important role in reaching the EU energy targets. Understanding consumer behavior, including how households make decisions on energy use, is important not only to researchers but also to policymakers aimed at encouraging and promoting a wise, efficient, and sustainable use of energy by different policy programs, schemes, and measures. Despite that, little is still known about what the factors are that affect energy consumption in the household sector, particularly at the regional level. Certainly, consumer behavior, in general, has been extensively studied and various approaches have been proposed. But, the empirical literature in this field is oriented to the national research level utilizing a micro-level data set in most cases. So far, there have been only a few studies on energy use determinants at the regional level in the EU. They suggest regional differences matter when energy consumption in households comes into question. Moreover, we must not forget that this level is the most important level for the design and implementation of EU policy. Therefore, we conducted a research in a more integrated research framework aiming to identify the determinants of energy consumption in households at the regional level, and then investigate whether they are sensitive to the regions’ level of economic development in the EU. We started with the assumption that energy use is manifold and intertwined, shaped by many socio-economic and contextual factors which overlap not only at the individual level but also at higher levels. The results of our study confirmed that socioeconomic (e.g., disposable income, long-term unemployment, education, or poverty) and contextual variables (e.g., climate conditions) are important determinants of energy consumption. We found out that there are common energy consumption determinants such climate conditions and those ones that are dependent on the regions’ level of development and the energy policy applied. While the sign but not the extent of the impact of the former is the same across regions, the impact of the latter (the sign and the extent) may differ, depending particularly on the character of the energy policy measures applied. For example, disposable income, which may be considered universally relevant in explaining energy consumption, positively affects energy consumption. Thereby, a smaller positive effect is observed in more developed regions, suggesting that they rebound less. Namely, people in these regions are more able to invest in and use more energy-saving products and improvements; so, they have adopted an efficient use of energy to a greater extent. Higher disposable income enables them to change their lifestyle, and consequently invest in and use more energy-dependent appliances. In turn, this increases their electricity consumption but less than in less developed regions. Similarly, it turns out that the future use of energy in less developed regions is much more determined by their past than it is the case with the more developed regions. For example, as our study demonstrated, the effect of human capital on energy consumption in less developed regions is significant and that energy policy authorities may influence energy consumption in households more effectively in these regions. They can do that by setting policy measures targeting energy consumer behavior and used practices, as well as by emphasizing the importance of effective higher education rather than focusing solely on different financial schemes whose effects are short-term. These findings are described in the article entitled Regional-level household energy consumption determinants: The European perspective, recently published in the journal Renewable and Sustainable Energy Reviews. The author of this article is Djula Borozan from the Josip Juraj Strossmayer University of Osijek, Faculty of Economics in Osijek, Croatia. Djula Borozan is a researcher affiliated with the Josip Juraj Strossmayer University of Osijek, Faculty of Economics. Previous Post« Previous Oh, Brother: What Do We Find Attractive In A Romantic Partner?